"This was a simple follow-up. Dr. Ricci has fantastic people skills and I have, in fact, recommended him to others." "I have actually recommended him to others." "Dr. Ricci is a wonderful man and superb physician. you are lucky to have him!" "As an RN myself - I was impressed with how thorough Dr. R. was with explanations, etc." "Excellent Dr. of colorectal surgery. Great bed side manners. Always takes his time to explain and answer all questions completely"
"The Dr. Ricci is absolutely amazing - He makes me feel at easy ever time. I would recommend this doctor to everybody." "I had concerns about traveling in August and the doctor was reassuring." "I like Dr. Ricci very much. He is wonderful aside from his expertise in all medical & surgical matters." "Dr. Ricci is stellar. " "Although this was not my primary physician within the practice, he promptly answered my questions and concerns during on/call hours and saw me promptly once the office reopened for the week. He was efficient, caring, and took time to explain the next steps in my recovery and after care that instilled confidence in myself as a patient." "all I can say he is a terrific Doctor"
"Dr. Ricci was very concerned and helpful both before and after the surgery. " "The staff is very kind and knowledgeable. " "If I could rate a "10" I would!" "Doctor was patient, informative and available for questions." "Doctor have a comforting, welcoming demeanor. He's very gentle when handling patients going through their procedure, he will inform me of my procedure. " "A wonderful doctor!! - Absolute best! I wish he was a GP also because I would go to the doctor more often." "I previously saw 3 physicians prior to this appointment. Dr. Ricci was excellent. I will continue to see him with help for my problem. I appreciated the time he took to explain issues and felt confident that he could manage any future problems." 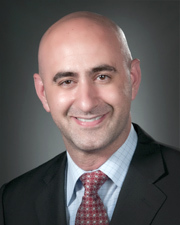 "Dr. Ricci is a very good person and has pleasant manners. I don't have words to show my gratitude to him. Every time I met him I found him smiling and he explained and answered every question I asked him. I will recommend any and every person who is in need of this type of survey to go to Dr. Ricci. May _____ bless him with good health and _____ life. Amen." "My experience was very very good .I had o problem whatsoever"
"I have asked my primary care provider to refer her other patients to Dr. Ricci for colonoscopies & other colon/rectal issues." "Give Dr. John P. Ricci a gold star maybe 2." "Friendly & professional staff - gave me peace of minor confidence!" "I recommended my husband and family members"
"This was the best care and surgical experience of my life. I am so impressed." "The staff & Dr. Ricci were EXCEPTIONAL!" "Every thing was good, thank to you all." "My visit was made easier by the time Doc Ricci spent with me -"
"Dr. Ricci is the best doctor I have ever had." "Very happy with John Ricci - Made me feel very comfortable - Great attitude - Nice individual." "Could not ask for more concerned and caring people." "Dr. Ricci gave me a lot of confidence that I would get better fast. #9. Excellent." "I would highly recommend Dr. Ricci. He is an excellent doctor." "I would not hesitate to recommend Dr. Ricci." "I am very pleased with Dr. Ricci - He makes me feel comfortable & takes time to answer my concerns."